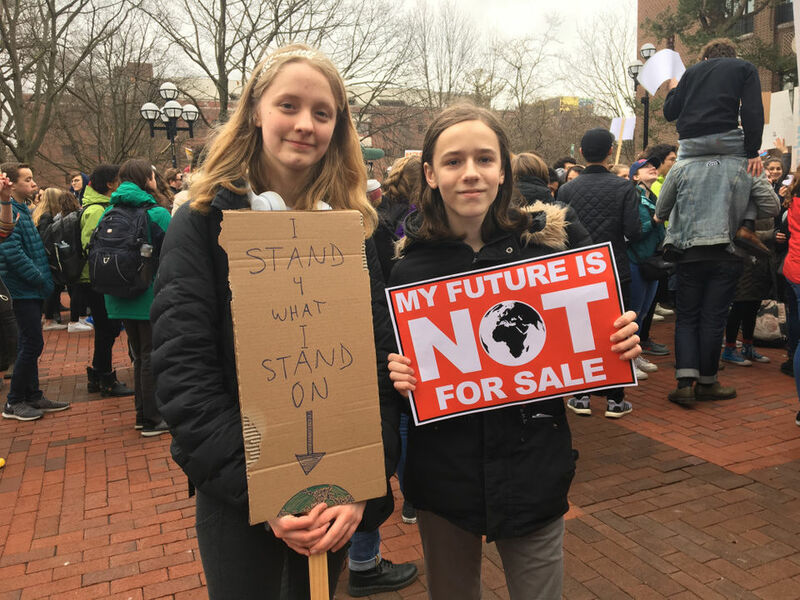 ANN ARBOR, MI - Hundreds of Washtenaw County high school and college students joined their peers around the world in demanding action on climate change on Friday. 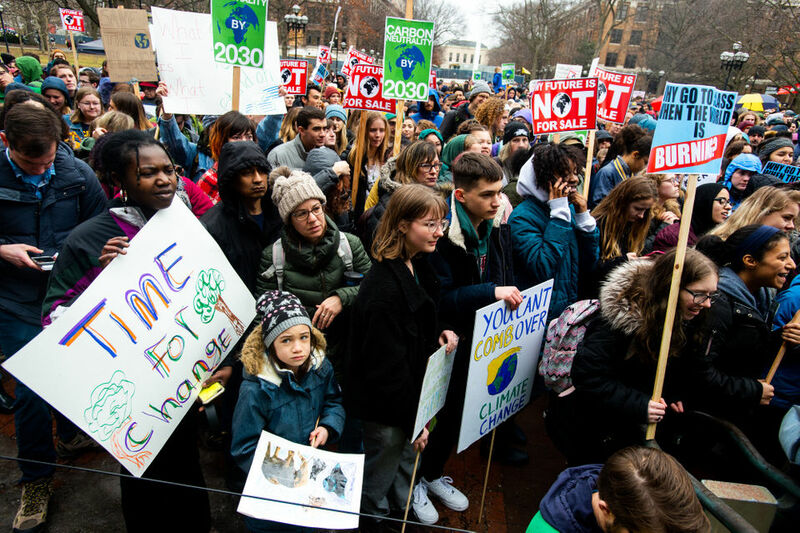 After walking out of school at 11:11 a.m. March 15, students headed to the University of Michigan Diag for a climate strike rally. 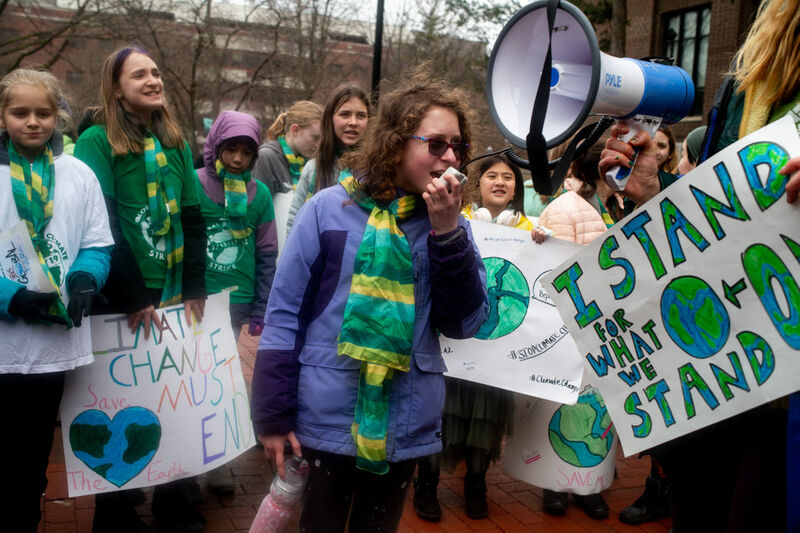 The Global Climate Strikes were part of a youth-led worldwide movement called Fridays For Future, started by Greta Thunberg, a 16-year-old climate activist from Sweden. Teens’ focus on climate change comes after a national youth-led gun control movement in the wake of the 2018 school shooting in Parkland, Florida. 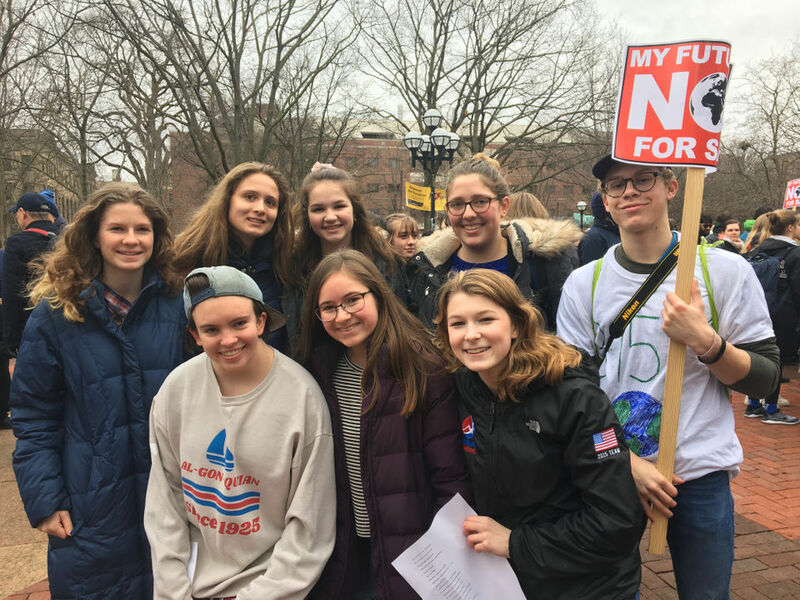 Washtenaw County teens talked to MLive/The Ann Arbor News about why they’re passionate about climate action and the significance of youth activism. 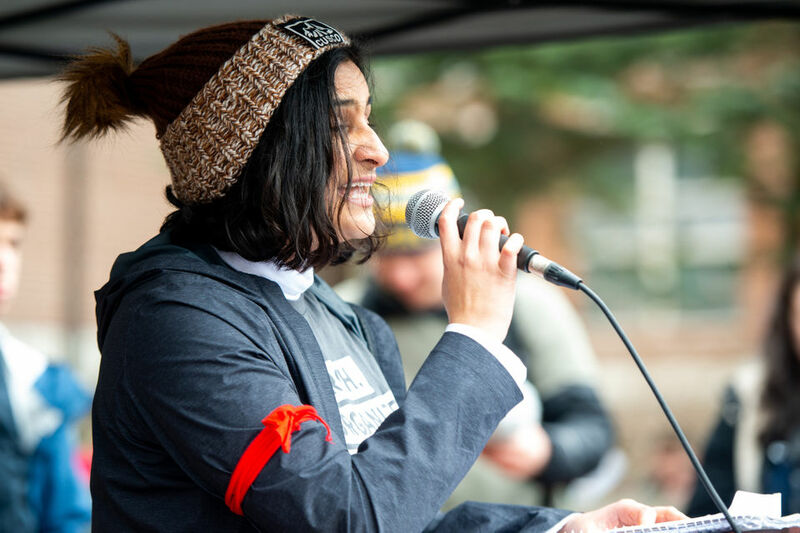 Khokhar was one of the organizers of Washtenaw County’s climate strike, and she urged her peers to keep fighting for a better environmental future. 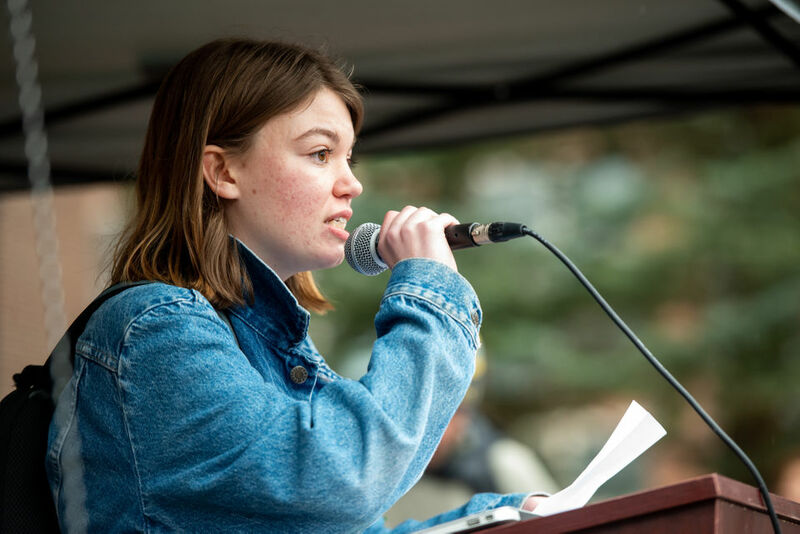 Individuals can make a difference in fighting climate change but the real impact will come from the U.S. government changing regulations and adopting sustainable practices, Community High School junior Paige Duff, another of the local strike organizers, said. “While doing what you can makes an undeniable difference, the majority of this responsibility is not on the common people,” she told the crowd. “Our government is failing us. “We can’t allow people in power—no matter where they are—to do nothing,” she said. Ann Arbor resident Jean Henry attended the rally with her son Ezra Lee, a Slauson Elementary School seventh grader. The rally came at an opportune moment with Ann Arbor City Council poised to vote on a potential new source of funding for climate action, Henry said. She also wanted Ezra to have a say in climate action issues after years of teaching him about the environment. Ezra thought there was a good turnout for Friday’s rally. “It shows that we care and it’s our future that they’re affecting,” he said. 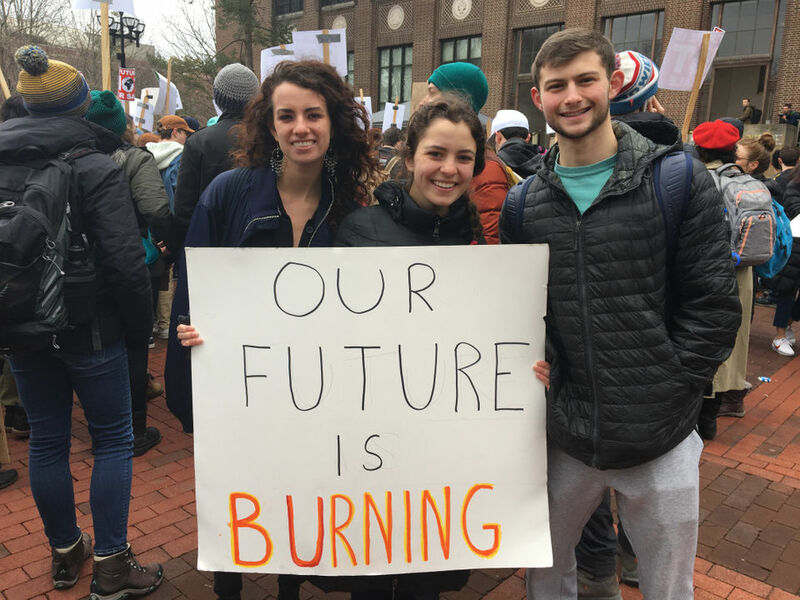 UM senior Julia Weiss hopes the climate strike movement raises more national awareness of what a pressing issue climate change is. 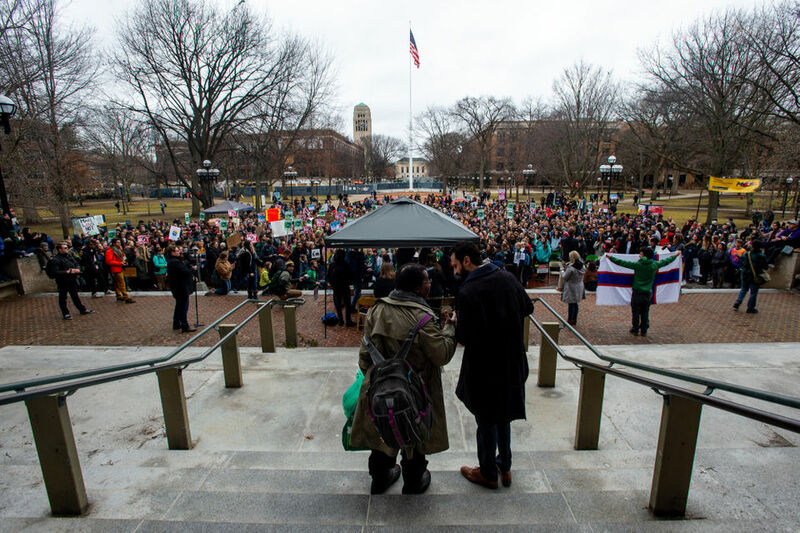 UM sophomore Adam Levey wants lawmakers to respond to the youth-led initiative. “It shows everyone in office that you might be safe this term, maybe next term, but if you don’t adapt and change now, change is coming,” he said. Pioneer High School student Muneer Elshaikh, 15, hopes the Global Climate Strikes will convince lawmakers to take climate change more seriously, he said. Community High School student Shannon Kahan, 16, said she wanted to take a stand because her future is at stake. “We’re the ones who are going to have to clean up this mess,” she said. School walkouts are the most effective way for students to make a point, said Maggie Hammer, 17. Nikesh Dahal, a second-year PhD. 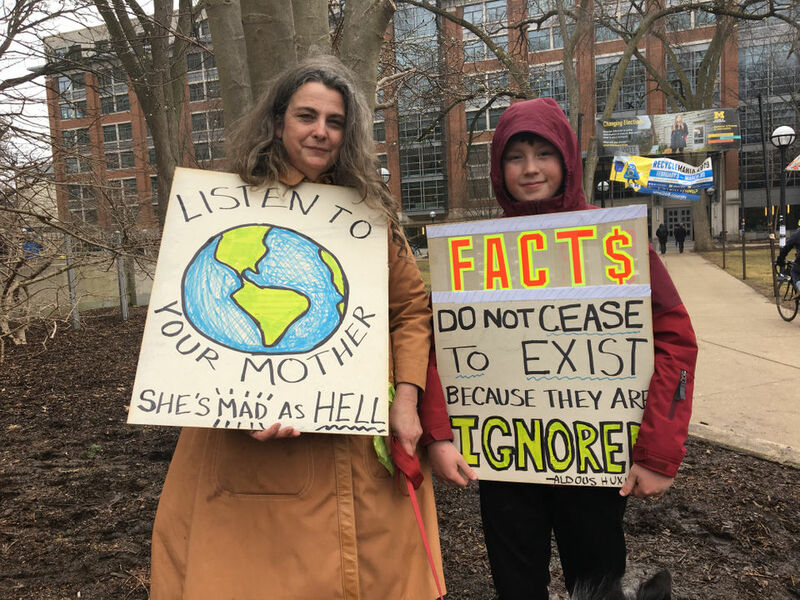 student at UM studying ecology and evolution, hopes Friday’s rally demonstrated the level of concern about climate change. “Young people are willing to come out and show how much they care and how much they’re willing to fight for it,” he said. Kate Laramie, a research assistant at UM’s Biological Station, said she’s glad climate change is getting more attention recently as a mainstream political talking point. “It’s exciting to see a younger generation of high school and middle school students realize that this is going to be affecting their culture for their entire lives and their children’s lives,” Laramie said. Community High School student Miles Durr, 15, wants politicians to respond to the fact that most people now acknowledge climate change and take it seriously. People around the world should be interested in climate change, but it especially impacts the younger generation, said Sophie Fetter, 16. “It’s our issue to deal with,” she said.